Yesterday, Dillon Ryan and I spent the day in the shop and finish room. Dillon needed to take hundreds of photos of boxes against a white background so that the artists at Fine Woodworking can do a beautiful layout of boxes and hinge types. While Dillon was occupied with the camera and finished boxes, I did preparation work, and set up work to bring various boxes up to the point that hinges could be applied. We finished the day at 5 PM, and now Dillon gets to enjoy the beauty of the Ozarks in a leisurely fashion as he heads to the airport for an afternoon flight. We have other articles for the magazine in the hopper, so I expect he will be back. We talked about the challenge it an be for want-to-be authors to get their work featured in Fine Woodworking. The point is that people first of all need to just send in their ideas. If that one simple step is not made first, nothing follows. We had three pigs perusing the trap last night that did not go in. So we know they are still out there in large numbers, capable of doing the damage they did to our gardens again and again. Some months ago, I had described the Dunning-Kruger Effect and the Peak of Mount Stupid, and an article has mentioned it in relation to the Trump Campaign. Today at school, my high school students will work on their shaker boxes. Make, fix, create, and increase the likelihood by your example, that others learn likewise. I try not to promote the benefits of being a packrat, but having a few unfinished projects lying around can be an advantage at times. For instance, when Fine Woodworking editor Dillon Ryan arrived yesterday for an article about boxes, and we realized the need to have a few boxes available to work on while he's here, I simply had to dig into a few places to find unfinished boxes that will fill the bill. This photo shoot gives me the excuse to now tidy up throughout the shop. Today, while Dillon is taking shots of finished boxes with various hinge types, I'll be bringing various unfinished boxes up to snuff so we can take additional shots of hinges being installed. My suggestion for your day? This afternoon, m students in first, second and third grades will work on their toy trains. With the engines nearly complete, they are planning the various cars their trains will pull. Some want "box cars" that can carry other things, so I'll prepare stock before class. 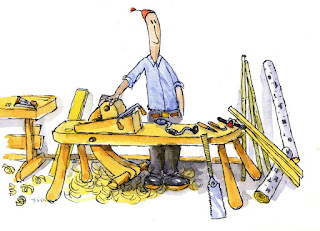 This afternoon Dillon Ryan from Fine Woodworking will arrive to take photographs for an article. I'll be blogging on the light side for the next couple days. I'll remind readers that there is a search feature connected with this blog. It is at the upper left. I've been writing this feature for over 10 years now, so there is plenty of content to keep you reading things you might enjoy for the next few days without my adding much more. Here are some suggested search terms... Sloyd, Nääs, Helsinki, Froebel, Wilson, Crawford, brain, research. Play around and see what you find. If there's anything that you read that strikes your fancy, use the comments feature to respond. the advantages of wood shop. Yesterday in wood shop I neglected to take photos. My 7th and 8th grade students have decided to help the school with our "social media presence," so in addition to gluing shaker box sides and sanding parts for making hand bells, we used clamps and sticks to make a tripod to hold an iPhone so that interview videos could be taken. One student is taking still photos and another video clips of woodworking in action. The exercise revealed one of the many advantages of wood shop. No tripod? Make one. My first, second and third grade students worked on making toy trains, and are very excited about their work. Around the shop, I'm getting ready for Dillon Ryan from Fine Woodworking to come and take photos for an article about hinges for wooden boxes. Dillon will the third editor from Fine Woodworking to come here to visit my shop, with Tom Begnal being the first in about 2006. The photo above is from that visit. Make, fix, create and make the case that others learn likewise. I was reading in the local paper that our neighboring public school in Berryville had three buses for sale and the board approved the sale of one for $1700, leaving two unsold that they hope to sell later in the year. That brought to mind what can be done with an old bus. I had assumed that the major impediment to starting a woodworking bus would be the cost of the bus, but there are two buses in Berryville, Arkansas that can be acquired cheap. For many years Sheila Dawson in San Diego, CA has operated a woodworking bus, taking woodworking and projects for kids to public schools throughout her area in California. 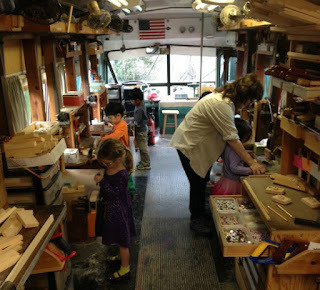 The photo shows how a bus can be fitted out for woodworking with kids, and it makes me wonder why every small town and every small school in Arkansas (and the US) does not use its old buses to launch an adventure. So here is a simple idea: Buy an old (still working) school bus for $1700, spend an equal amount to equip it with benches and tools, and instead of buying that Harley you always wanted, give something real and meaningful to the lives of children in your community. 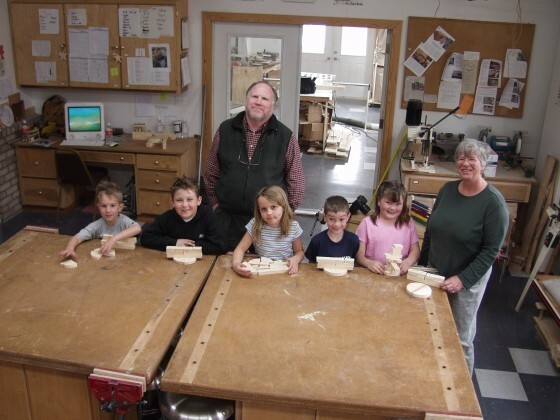 Today in the Clear Spring School woodshop, students will be making shaker boxes, trains, and whittlings. Make, fix, create, and offer others the joy of learning likewise. This has been Bikes, Blues and Barbecue weekend in Northwest Arkansas, and Eureka Springs has been overrun with thousands and thousands of motorcycles. The event is one of the largest motorcycle rallies in the US, and my small town of Eureka Springs is a hot destination for hot bikes, carefully uniformed bikers and their gals and cold beer. Eureka Springs fits the perfect formula for a biker destination: Long winding roads with valleys deep enough and hills steep enough so that the gut rises as you come up over the top––followed by cold beer and hanging out with others in biker dress when you hit town. The steady roar of loud bike pipes is astounding, and interrupted only by the occasional siren whine of the EMTs racing to the latest crash. I have other things in mind. For about the same money as a new Harley, you can equip a top quality wood shop with new tools. I drove by some bikers this morning who were lovingly wiping the dew from their expensive machines, and its obvious that they take a certain pride in their rides. For the price of a used Harley, you can buy all the used equipment to do woodworking that you would ever need. In the event you don't have the money for an old Harley, you can start out with only a very small collection of tools... whatever your small budget allows. But you would also need to develop some skill and patience in your tool use and use your imagination to know what to make. In any case, it is probably unfair to draw comparisons. There is a difference between motorcycling, and the deliberate effort to create useful beauty. From another angle, the unnecessary revving of motors just to hear the echo from our hillsides is unfair to those of us who have chosen to live here to avoid all that noise. We like the money they spend here. We also like the fact that they will be gone on Monday. This morning many of the motorcyclists have gotten back into normal garb, have loaded their Harleys in trailers behind SUVs and are headed home wherever that might be. May they all find their way safely and come back again but with quieter pipes. The box shown above is one from my new book, Making Classic Toys that Teach. I was reviewing photos for one to be used in the 2017 catalog of classes for Marc Adams School of Woodworking, advertising a class on making Froebel's classic gifts. Make, fix, create, and guide others toward the likelihood of learning likewise. On Thursday when I was not at school, my student Jack was looking for me. A foot had come loose on his little toy man he had finished on Wednesday, and it had to be fixed. Fortunately, his main teacher had a hammer and was able to come to the rescue. She told me that he plays with it constantly, as I could see for myself. At the time, Jack was in the volleyball court with it, digging and burying his little man only to pull him up again and again triumphantly from the sand. I was watching a symbolic resurrection drama taking place in his hands and mind. How can a thing crudely made be so full of meaning? 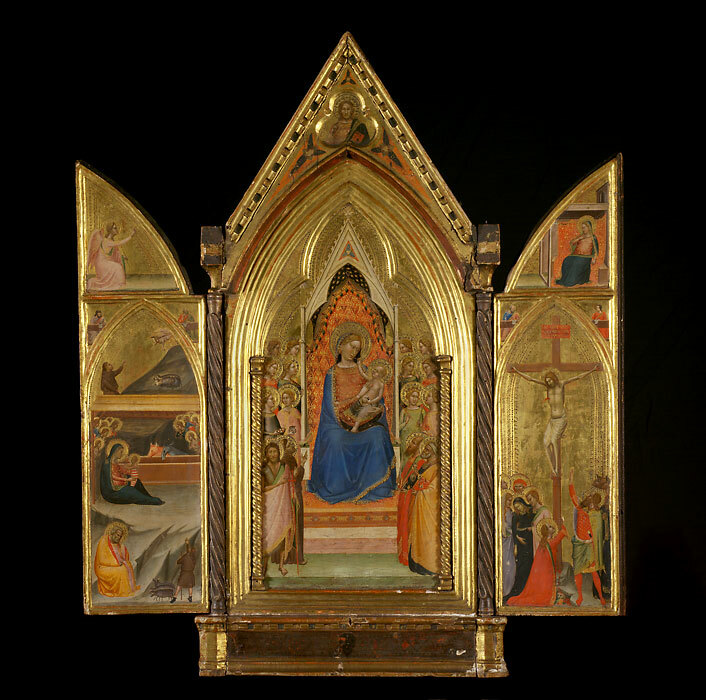 But the loveliness and power of it comes from his having made it himself. If you've not made something yourself, try making something and see if you can discover what I mean. I had a simple breakthrough during the week with a new high school student who had been unwilling to express himself. He began asking questions in wood shop, and I learned he was taking a more open attitude in his other classes as well. I wood shop, he wanted to know why a shaker box would be made in one way, and not another. I suggested he try his own method, and he did, learning for himself the efficiency of traditional methods.What comes next? We will see. I overheard some of the high schools students telling each other that wood shop is their favorite subject, and I don't think it was because they thought I might hear. Today I'll work on the text for the Fine Woodworking article on hinges, and power wash the deck in preparation for staining. Make, fix, create, and demonstrate for others the potential in learning likewise. A secret to safe use. Read below. I spent nearly the whole day yesterday at my desk, writing a chapter about my box guitar book. I took a break to do some organizational/materials preparation work at Clear Spring School, to take a few more photos in the wood shop and to attend the Thursday open house at ESSA where friends have been engaged welding steel all week. It is truly amazing how much energy people have for learning when they are engaged in learning what they want to learn. They work until they are physically exhausted and then come back the next day for more. Sadly, that is often not the case when you cram 25-30 kids in a class and propel them forward in directions they would choose not to go if the choice was their own. The old saying is that you can't push a rope, but you can pull one anyplace you want to lead. Children are led in learning best by tapping into their own inclinations. The following is from this classic paper by Korwin and Jones: Do Hands-On, Technology-Based Activities Enhance Learning by Reinforcing Cognitive Knowledge and Retention? The educator is to engage pupils in activities in such ways that while manual skill and technical efficiency are gained and immediate satisfaction found in the work, together with preparation for later usefulness, these things shall be subordinated to education -- that is, to intellectual results and the forming of a socialized disposition. Changing the subject slightly, one of the secrets to safe and accurate use of the compound miter saw is to stop the saw while it is in the down position. This keeps the blade from recutting the stock, prevents it from jamming the wood against the stop block, and prevents the cut off stock from being thrown at the operator. Good work on all three counts, and a lesson I learned by teaching at the Marc Adams School of Woodworking. Make, fix, create, and offer others a legacy of learning likewise. Under most teaching situations, children have little say as to what they do, or how their learning will work out. In classes they have little or no choice as to what books are to be read. They sit when told to sit, stand when told to stand. But when we give some say to children as to what to do, what to learn, what to read and what to make, the level of enthusiasm grows enormously. There is a wrongful assumption that children are different from adults and must be taught. Whereas, learning is actually an innate human function, that can be successfully forced into repression through classroom learning. Yesterday my 1st, 2nd and 3rd grade students decided they wanted to finish their toy people, and finish them they did. With gusto. Marco decided to add "jet packs" and when those were finished, adding wheels became the obvious necessity. Marco's rocket man will be played with, broken, fixed and broken again, but no toy from Walmart could elicit as much genuine excitement. With my book about making Froebel's gifts complete, I am getting back to box guitars. I am selecting, organizing and naming photos, writing captions and text. Drawings must be done also. I hope to bring that book to a stage at which it can be laid out and edited within the next two months. Next week, an editor from Fine Woodworking will come to take photos for an article on hinges for boxes. Make, fix, create, and let your own life suggest the likelihood that others learn likewise. Richard Bazeley sent a link to this article on Finnish education: No grammar schools, lots of play: the secrets of Europe’s top education system. 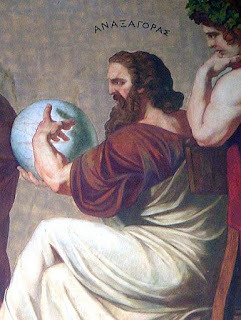 Those who read here regularly will remember the relationship between Uno Cygnaeus, the inventor of Educational Sloyd, and Friedrich Frobel, inventor of Kindergarten, and the founding of the Finnish Folk Schools, that were first created as a gift from the Russian Czar. In the Finnish schools of today, children begin reading and math at age 7 and thereby surpass American readers in both subjects in 25% less time, without homework, and with a huge amount of time devoted to creative play, while they are also learning English. When I visited at the University of Helsinki, I inquired whether there was a proven link between their continued use of Educational Sloyd and the success of the Finnish model of education. I was told there was none that had been proven by research. My query had not gone deep enough. The link is there at a much more philosophical level that still defies the imagination of all those who struggle to understand the success of Finland's education. How can a country that ignores standardized testing consistently beat those countries like the US that have slavishly submerged learning to a regimen of regularly administered standardized tests? It is all right there in a single word, play. Children love learning. They may not necessarily like being taught. And play, whether structured or unstructured, captures the child's attention at a deeper level than drill baby drill. My book on making Froebel's gifts is down to that last thing that I hope to add, acknowledgments. So I plan to quickly compose those before classes this afternoon. On the subject of education, it is time to simply rise up against educational policy makers and confidently take matters into our own hands. Make, fix, create, and extend to others the hope of learning likewise. I'm going to start my first, second and third grade students on a project building toy trains and hope the larger project with engage their interests for at least a couple weeks. All but one of my students at the lower elementary age level are new to the school and are presenting a bit of a challenge for me. So this morning I'll go to a handle factory in Missouri and get a bunch of round wood scraps, that I use to make wheels of various sizes. I get the scraps for free and in a quick trip can gather what will be at least a year's supply. 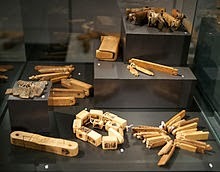 The objects shown in the photo are tally sticks, used as memory devices to record numbers of things. Human intelligence has never been an inside the head thing, and yet, in American education we treat it as though it might be. Heads are purposely crammed with useless and meaningless stuff, and then measured to determine the success or failure of the operation. 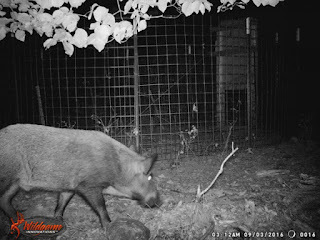 Over the past two weeks, we had no feral hog activity surrounding our hog trap. But last night we had 4 new pigs show up, having just moved into the area. The trapping of feral hogs may be a thing we will face on our property for years to come. Make, fix, create and lure others into learning likewise. I just realized I've entered my 10th year of blogging. My first blog post was on September 7, 2006. I wonder if I and my readers are beginning to lose enthusiasm for the platform, and I know of course that I frequently repeat myself. You can find my very first blog post here... September 7, 2006. I have made my last corrections, additions and comments for my book, Making Classic Toys that Teach. So I will return my attention to work on the box guitar book, an article for Fine Woodworking, and my classes at the Clear Spring School. We had our second group of visitors from the American Folk Art museum, and I was ready for them with a display of my work. But in the confusion of it all, I neglected to invite them to visit this blog. They had enjoyed their visit to the Crystal Bridges Museum, and to Thorncrown Chapel, and wanted to buy a few hand made things. The interesting thing about technology and its continued application is that it speeds things up to the point that the objects made lose value. This is not just a matter of there being so many objects that they become a nuisance, but that the amount of actual human attention and intention is diminished within them, and its the investment of humanity in a object that brings material to life. We are, however, in an age of massive delusion. Here in the USA we are engaged in the process of choosing our president based on how boisterously he lies, whereas in a simpler time, the truth mattered. Those who are actively engaged in the making of useful beauty through their own hands would be able to recognize it and not be deceived. Today I'll be putting things away, preparing for tomorrow's classes, and taking a few last minute photos for my 11th book Making Classic Toys that Teach. Make, fix, create, and offer your example that others may learn likewise. I am getting ready for a visit from members of the American Folk Art Museum but this week instead of having them come up our gravel road to my studio, I am setting up my work at Eleanor Lux's weaving studio. It will not be quite the same, as they will not get as deep a view into my work, and may not feel quite as inclined to purchase what I've made. On the other hand, I may be pleasantly surprised. Yesterday in the school wood shop, my high school students worked on jingle bell rattles to sell as a fundraising project, and they began making shaker boxes. The problem of course is that in order for a student to make a shaker box so much work has to be done for them in advance. The wood has to be milled to a thickness at which it can bend when boiled, forms and marking templates have to be made and ready in advance, and the teacher has to know exactly what he or she is doing. Still, there is some learning taking place, and if the student gets the bug for woodworking, or any other creative activity that can be accomplished on his or her own, there is some hope. I am also engaged in reading through a draft of my new book, Making Classic Toys that Teach, and finding things that must be fixed before it goes to press. I am also working with an editor from Fine Woodworking on an article about selecting hinges for box making. I have a number of boxes around here that I'd left unfinished for a variety of reasons, and if they are not done, they won't sell. These walnut boxes, inlaid with maple and cherry, are receiving Brusso stopped hinges. It's an expensive option for rather small box, but being made of walnut and with inlay, it should bring a premium price. Also shown are the small lift tabs now fitted to the lids and ready for finish. The joints used on the corners of these boxes is the hidden spline, seen only when the box is opened. It allows the grain to move around the box undisturbed. Today in the school wood shop, my high school students will continue making cutting boards, and begin making shaker boxes. 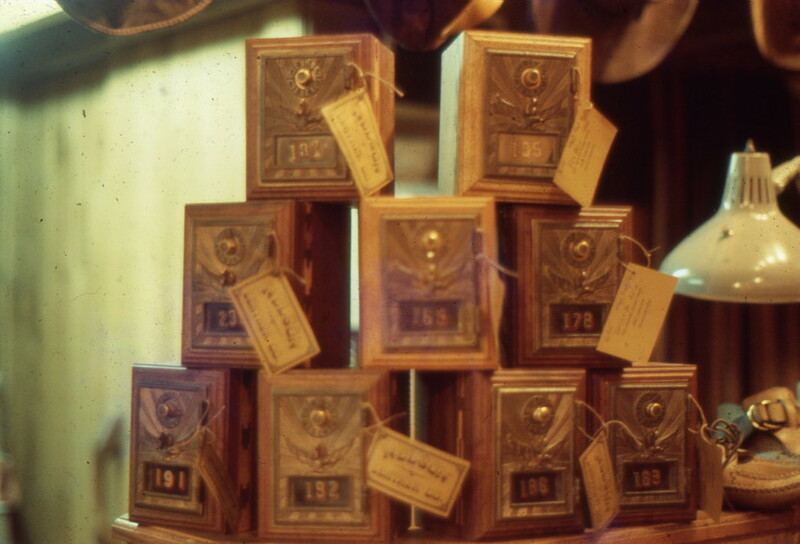 This is also that time of year when teachers in training from Ball State University dutifully follow a link from their professor to this blog to read about the Philadelphia Exposition of 1876, and its impact on the development of manual arts training programs in the USA. I have been planning for weeks for a group of guests from the American Folk Art Museum, but may now meet them at Eleanor Lux's weaving studio instead of in our home. The visit last week with 11 members told us that a one hour visit was too little time, and that twice the number of guests at once would be impractical. So I'm yielding and will move my work into town for the convenience of our guests and talk about it there. My time spent cleaning my studio will not go to waste, as I have an editor coming from Fine Woodworking on the 29th to take photos for an article about selecting hinges. In the school woodshop, I am working on Shaker boxes in preparation for my students doing the same thing. I am working on forms for making shaker boxes. I made 4 last week and have 5 more glued up and ready now to bandsaw. What you see in the photo is a stack of 15-1 in. 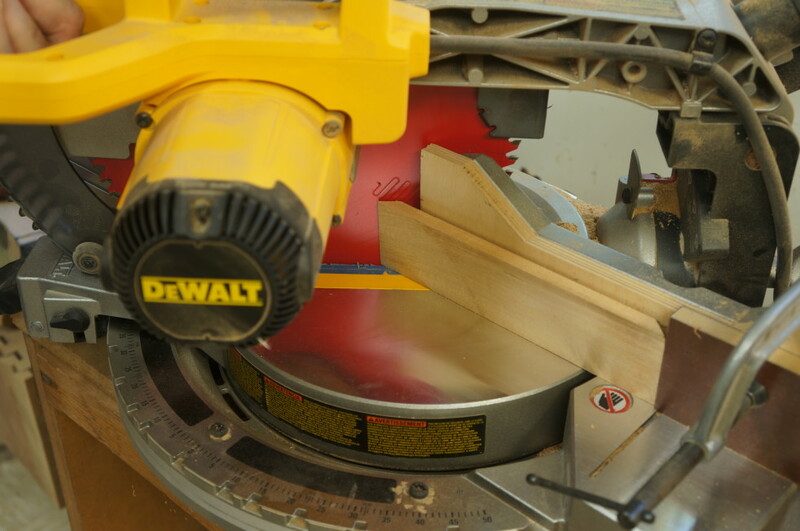 thick ply pieces glued to form 5 units of three, so each form will be three inches thick. This afternoon, I have students from first through 6th grades. Today also, I am going through edits of my new book on Froebel. I am pleased with the organizational effort that my editors have put into making it work. Make, fix, create, and extend to others the likelihood of learning likewise. Mondays are my busiest days in the school wood shop and yesterday I had my hands full. My seventh and eighth grade students began making shaker boxes, making jingle bell rattles to sellfor fundraising, and we began discussing the making of skateboards later in the year. 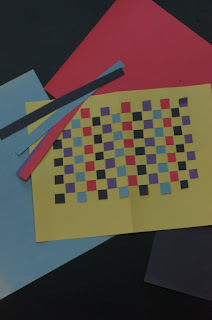 My first, second and third grade students are so enthusiastic, they want to make everything they see, so I provided them with materials for boomerangs as a way to get them familiar with some basic tools. My 4th, 5th and 6th grade students wanted to make working puppet dolls, but of course they want to make them of their own design, and I encourage that. Is it not better that they make some of their own decisions and learn to solve the various problems they can create for themselves? In the meantime, I've received the files for my book on making Froebel's gifts, and am in the process of review. It is a complex book, interweaving material about Froebel, his theories and methods, and the history of the Kindergarten movement, with instructional material on how to make his most precious gifts. Make, fix, create and extend to others the likelihood of learning likewise. Seymour Sarason compared teaching to a performance art. In the classroom, the teacher stands in front of class and engages the students attention, or at least makes the attempt to do so. But unlike a musician, or a theatrical performer, the teacher gets little or no direction to improve performances, and no rehearsal time. He or she is judged from outside the classroom based on whether or not order is maintained.The teacher's power over his or her students is the basis upon which administrators and fellow teaching staff judge the teacher's effectiveness, and yet when it comes to kids, intellectual engagement is more often expressed by an enthusiasm that would be adjudged intolerable in many schools. So one can see that administrators and policy makers would like to find some way to measure teacher performance without having to put directors and stage managers in every class. Seymour Sarason had maintained a rather dark but realistic view that every attempt at reform of public education would fail and so far he's been proven 100% right. The charter school movement takes a spitwad approach. Throw a bunch of new ideas (that are really old ideas) in the form of charter schools (most of which follow a single not so new formula) against a wall, and see which sticks best. Sarason, on the other hand, suggests that the secret to effective schools may have more to do with how we train our teachers for collaboration within and between classes, training them to draw forth from students their deepest engagement. Today I have lots of kids classes in the wood shop, grades 1 through 8. 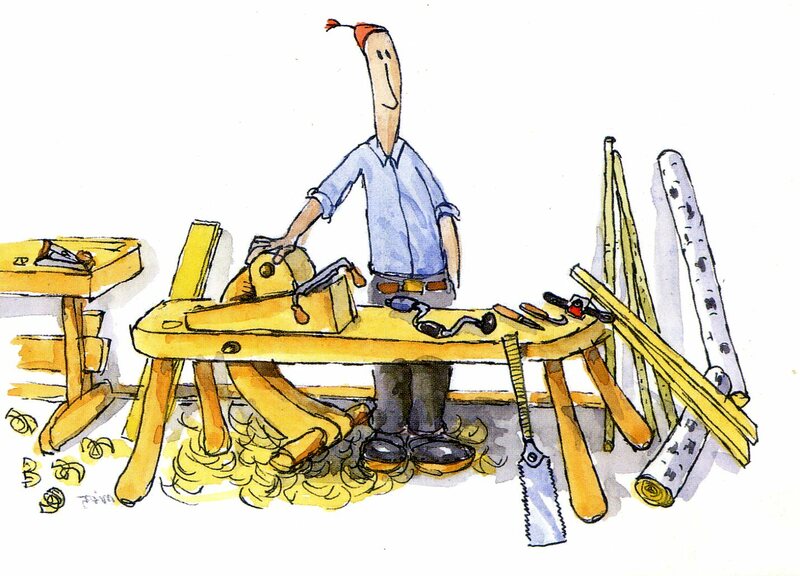 We'll be making wonderful things, using real tools and real materials, removing the artificiality of school learning, and taking the teacher (me) out of the way of direct learning. Today, also, I will receive the laid out version of my Froebel book and begin the process of review before publication. Forgive me, this is long, but I've felt compelled to leave it so. Yesterday I had a brief visit by members of the American Folk Art Museum. I led them through an overview of my philosophy and work, gave them a tour of the shop, and some brief instruction in the processes of my work. It was a very small pinprick of time that I hope was useful and informative for my guests. I sold some boxes. At the end of the week we will have a visit by 25 more members. My daughter graduated yesterday in New York with her second master's degree. This new degree is in education. We would all like education to be cut and dried, in that we want each child to be treated fairly, and with respect, and that each will be fully prepared for a future that will be forever unknown to us. I have been reading Seymour Sarason on the subject "Why teachers must also be psychologists," and visited with a friend yesterday who had pulled her daughter from the Bentonville School of the Arts, after her teacher had a near breakdown in class, screaming at the kids, and blaming them for everything that was wrong. Sarason noted: "Teaching teachers involves every psychological issue and principle involved in teaching children. The would-be educators, like the pupils they will later teach, are not un-formed, empty vessels, devoid of knowledge, assets, interests, and experience in matters educational." By the time a student graduates from high school, he or she will have spent in excess of 15,000 hours in schooling, whereas, 10,000 hours has been recognized as the threshold of mastery in various fields. From that vantage point, we can see that our students become masters and a half in being schooled while learning much too little about life. Sarason does not offer the most hopeful view of what we are up against. He notes how little use education makes of the resources offered by modern psychology, and that most of our experiments in education pay little attention to how children learn or to what drives them to learn. The point is that teaching children can be like walking through a minefield. On the one hand, you have the truth (or lack of truth) of the material being taught. On yet another, each child presents a complex psychological pre-disposition in its own right. Parental expectations pose yet another potential for explosive and disruptive force. Add to this, that all teachers and all administrators are by their own rights, walking sets of psychological pre-dispositions, and that each and all are given the rights in the classroom to perform in manners that either enhance the child's interest to learn, or threaten psychological harm. I am often reminded of Bob Dylan's line from a song, being "bent out of shape by society's pliers." Having been in school at the time the song came out, I knew exactly what the words meant. Schools have a not-so-well-hidden purpose of twisting students into shape, that they may perform in ways pleasing to adults, but that do severe damage to the child's interest in learning. And if a child simply emerges from the process of being schooled with some great love in hand, that child may arise in time to conquer all. When my daughter attended our Eureka Springs Public High School, she came home several times in tears, not because of what other children had said to her, but because of insults laid upon her by a particular member of the teaching staff. And so a strong personality can overcome the slights and insults offered in schooling, and propel beyond them. Part of the point is that when children have real things to do in school, there's more at work than wrestling with the psychological insuffiencies of the parents or of the teaching and administrative staff. The student instead becomes engaged in real life and may actually learn more about himself or herself in the process. On yet another subject, a blog reader expressed his admiration for my triptych boxes, and wants me to bring one to my class next summer at Marc Adams School. That suggestion led me to submit photos of one to editors and friends at Fine Woodworking. A comment from a friend had led me to submit photos of my walnut work bench to Fine Woodworking and that led to it being included in their magazine several years ago. Perhaps this will work in that same manner. When friends offer encouragement of your work, make the assumption that others may also. I have been preparing my shop, finish room, office, and home for guests that come this afternoon from the American Folk Art Museum in NYC. 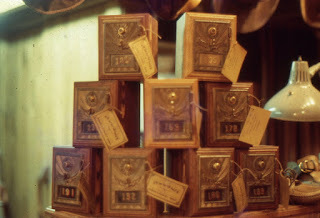 There will be only 11 today, and then another 25 or so next Saturday. They planned trips to see work from their museum featured at Crystal Bridges Museum of American Art in Bentonville, AR and arranged a side trip to Eureka Springs to visit Eleanor Lux, Arkansas Living Treasure for 2016, and me, ALT for 2009. Craftsmen rarely get this kind of attention. So I have tried to make the most of it, pushing a few projects to completion, like the triptych boxes I've had in mind for years now. I got the first set of 27 individual samples of wood completed and will install them and brass pulls on the doors sometime today before guests arrive. As you can see, the woods of Arkansas, are diverse in color, texture, hardness, workability, and even in smell (though you can't sense that here). Make, fix, create, and offer to others the opportunity to learn likewise. I recieved an inquiry from a woman in Florida who had acquired a post office door bank I had made in 1977. It is nice to know that some of my earlier work is still around. The banks were one of my first woodworking projects and the photo above shows them as displayed at Nelson Leather Company. 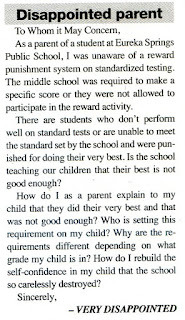 A letter from a parent to our local free newspaper, the Lovely County Citizen complained of a system of rewards and punishments for students based on their performance on standardized tests. You can click on the letter at left to see it in a larger size. 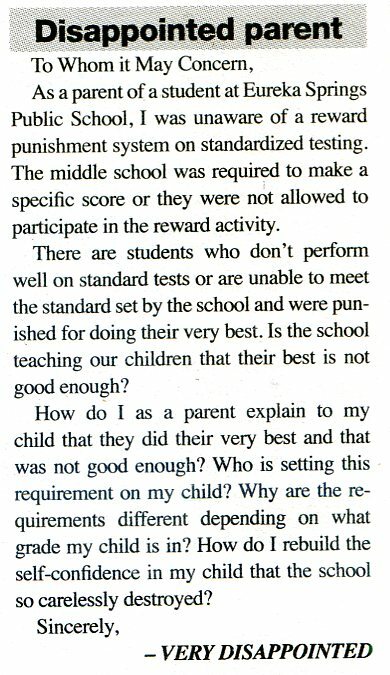 If you think that rewards and punishments might be effective, I would like to introduce you to the writings of Alfie Kohn. Billions of dollars have been targeted toward school reform and for every school district in the US there are special absurd measures taken and absurd mandates forced upon children. Even small things can scar children for life. I have also begun reading Seymour Sarason's compilation, the Skeptical Visionary. It tells of the difficulties involved in educational reform, which ought to be quite simple with the right formula. Still, what stands between education and meaningful reform is an understanding of the relationship between hands and brain, and our failure to put the hands at work in learning. Make, fix, create, and increase for others the likelihood of learning likewise. It is our second week of school and our students are already proclaiming that wood shop is their favorite thing at Clear Spring. Can it be any wonder why? Otto Salomon (also Diesterweg and Cygnaeus) spelled it out when he asked that we begin with the interests of the child, and proceed from the known to the unknown, from the easy to the more difficult, from the simple to the complex and from the concrete to the abstract. I am still finishing my small chapels of wood, and am at the point of sanding the small samples of Arkansas woods. 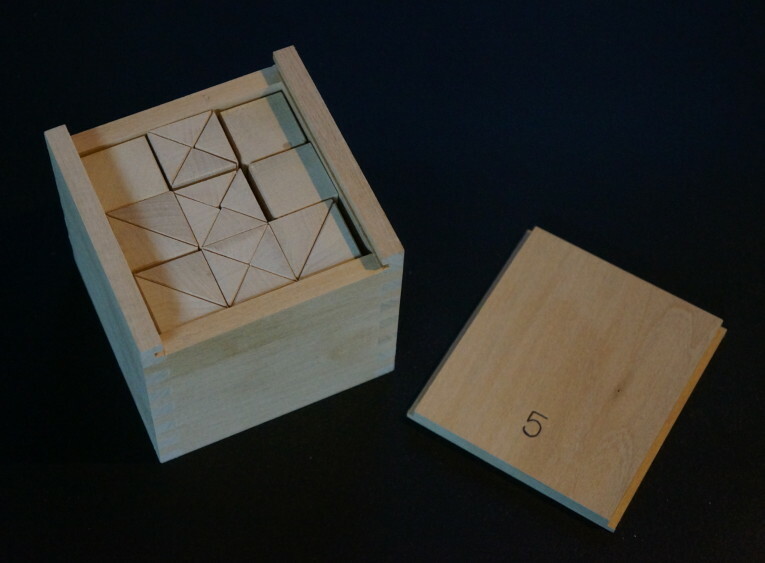 My next version of this box will use rare earth magnets to hold the samples in place, as the tiny round tenons on the ends of the samples are somewhat difficult to size. My office, finish room and shop are clean enough for guests. Come see. Make, fix, create, and extend to others the possibility of learning likewise. "Kniven är slöjdarens bästa van. Se bara till at den ar vass och att du inte skar dig!" These words launched Valdemar Stubbes Slojdskola by Mattias Isaksson. It is a lovely little book of instruction I brought back from Sweden in 2006, and even yet tests my understanding of the Swedish language. Translated, the words mean: "The knife is the handicraft maker's best friend. Just make sure it is sharp and that you do not cut yourself!" Amen to that. The small booklet is a good introduction to things you can make with very simple tools, and the knife recommended is the same one we use at the Clear Spring School. The booklet is well illustrated so that you can understand it even without understanding svenske. I have been cleaning nearly all day in preparation for the arrival of members of the American Folk Art Museum on Saturday. There will only be eleven members on this visit and another 25 or so the following weekend. So I will leave the shop, finish room and office clean for the coming week, even though that is relatively difficult to do. 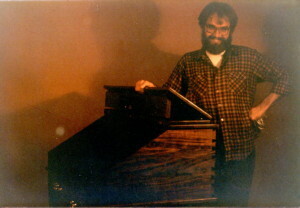 As I mentioned, I have been going though old photos and slides in preparation for a 40th year of woodworking celebration. The photo at left was when we built my garage workshop about 27 years ago. This morning we had another 5 pigs in the trap, each weighing about 50-60 lbs. The one good thing about the process is that it gets me out at the crack of dawn, just as soon as it is light enough to see whether the trap door is open or closed. The process of hog removal is rather depressing on the whole and getting out to find the trap empty is rewarding in that it offers the illusion that we are making some progress. But the game camera showed three additional pigs of the same size outside the trap after the trap door was closed. We know of 4 or 5 other full sized pigs that visited the trap the night before, and other landowners throughout the area are having similar problems with feral hogs. Today in the wood shop at the Clear Spring School, my students from first through 6th grades will be making Sloyd trivets and desk boxes. Make, fix, create, and insist that others be granted the opportunity to learn likewise. My triptych boxes are almost complete and ready to populate with the turned samples of Arkansas woods. I am cleaning the shop and getting ready for a visit by members of the American Folk Art Museum in New York, while my wife is getting ready for a trip in the other direction. My daughter will receive her second masters degree in New York and Jean will be there to applaud while I'm sharing my studio and our home with visitors from New York. I mentioned that I've been going through old files and photos in preparation for a celebration of my work in November. The photo below is of my brown hair phase. 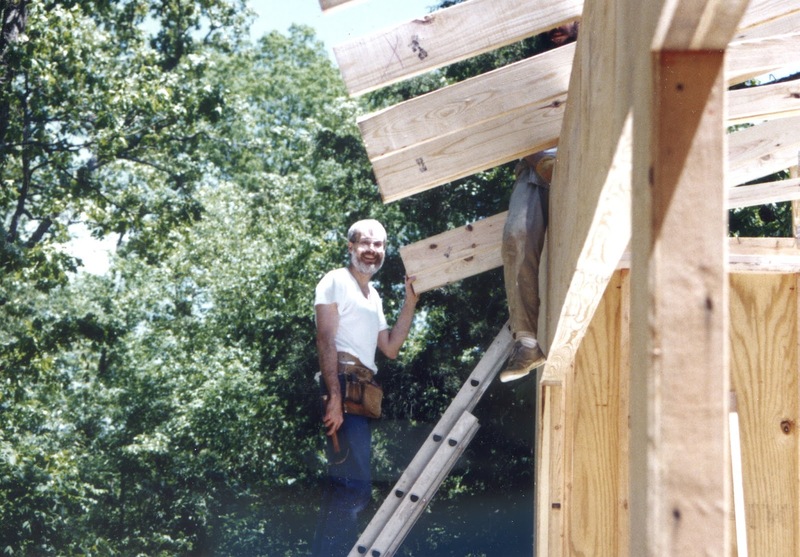 Frank Wilson sent me a link to an article about the American College of the Building Arts. Make, fix, create, and offer others a chance of learning likewise. I spent the whole day yesterday scanning slides and photos from my files so that they can be more easily accessed and used for various things, including my 40th year of woodworking celebration coming in November. For Labor day, the editor of the Democrat-Gazette wrote about his father, a shoe repairman, who took great pride in his work. He noted that in the struggles between labor and capital, labor came first, for without it, capital was not. And yet, we have a society that so wrongly celebrates and exalts capitalism each day and reserves but one day in which labor is held high. It celebrates mainly by taking the day off from it. Even capitalists are given the day off, which seems a bit unfair on a day that is intended to celebrate labor. But of course, the struggles between labor and capital for dominance of our culture and economy are symptoms of the estrangement between the brains and hands. We suffer from the idea that they can be successfully separated without damage to human culture, and without damage to the individual, the community and the nation. On my own labor day, I'll apply Danish oil finish to tiny bent wood boxes, and my triptych boxes that will hold collections of wood. 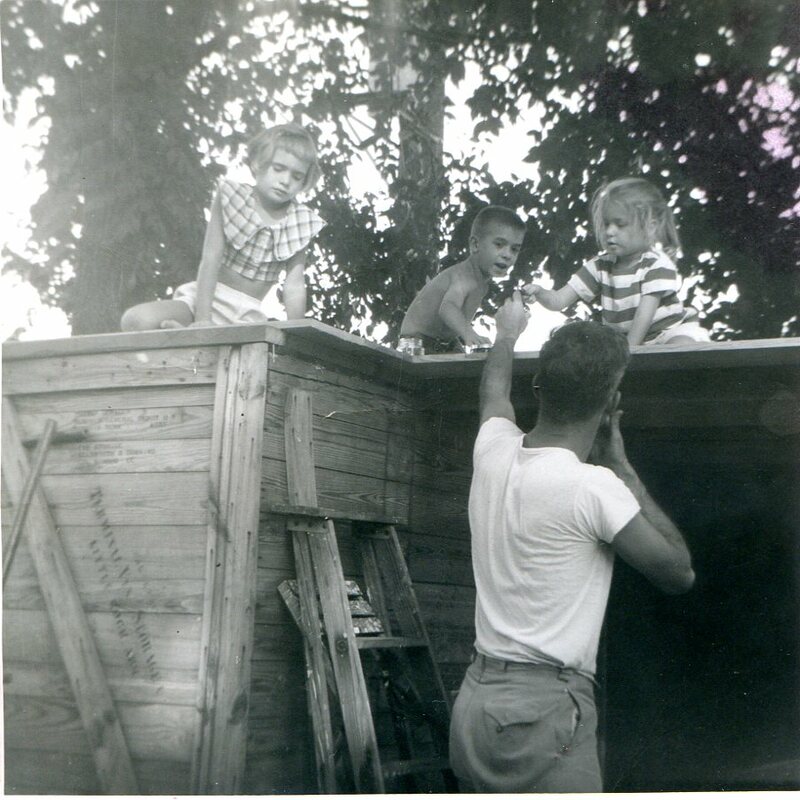 The photo above is of my Dad, two of my sisters and me. My dad had gotten shipping crates from the Memphis General Depot where he was a Major, and used them to build a play house in our back yard. We were given hammers nails the and the opportunity to do real work. I was the bare chested boy in the middle. Make, fix, create and extend to others the chance of learning likewise. My boxes to hold samples of Arkansas woods are nearly complete, and I'll be able to apply an oil finish this afternoon. The boxes open in the manner of a triptych, but instead of being an enclosure for religious images, they serve as enclosures for the display of our common woods. 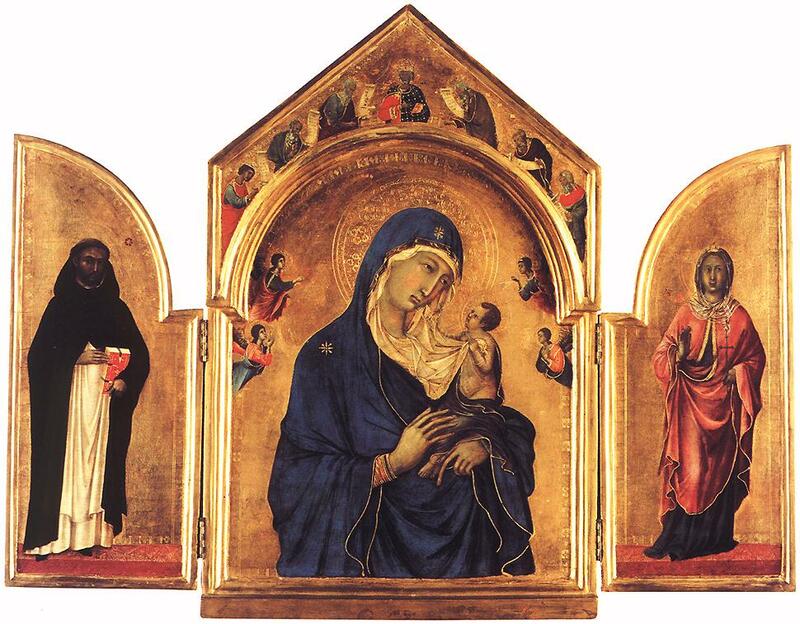 In medieval churches a triptych would have served as an altar piece proclaiming sacred its contents. That same point is made here. These boxes have been evolving in my imagination for several years, so it is good to actually see that what I've been thinking of is finally made real. 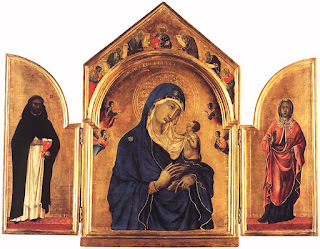 More usual triptychs are shown in the images below. Yesterday I had my high school students in wood shop and we talked about projects for the coming year. 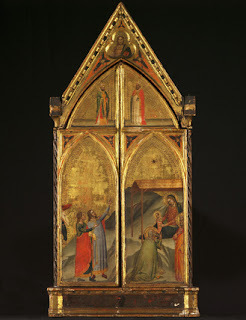 I also began installing doors on my small chapels of wood, and discovered that one of the doors had warped. I am trying to straighten it will clamps, but that may not actually have any lasting effect. For the students I supplied pieces of cherry for them to use to make cutting boards, so that we had work to do while we discussed plans. All the students were completely and fully engaged in their work. The photo below shows that we still have further trapping to do. This boar cruised by the trap, but did not go inside. Today will be my first class with my high school students for this school year and I'm quite certain they are pleased to be back at wood shop. We have acquired thousands of large jingle bells and I plan to launch a fundraising project to help cover the costs of school travel. The hand bells shown would be useful as rhythm instruments in preschools or could be used by Salvation Army bell ringers during the holiday season. So, as the final design is established and we begin to have an inventory available, the school will begin selling these. We are using wood as you can see, so ours will be a bit more lovely than the ones made of leather or plastic. You can see that I'm also making progress on my small chapels of wood. Next comes the mounting of the doors, the application of finish and the installation of the plexiglass rosettes. Make, fix, create, and hope the tide turns that others may learn likewise. It was a lovely thing getting kids back to wood shop after a long summer break. With the students 1st through 6th grades we made desk boxes for them to keep their pencils and such on their desks. 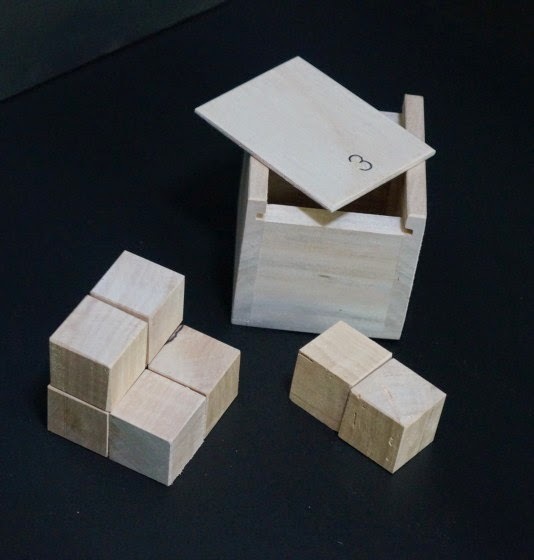 This activity allows me to introduce fractions, measuring, square cuts, and the use of various tools, including vise, square, tape measure, saw, hammer and magnets when they spill the nails. They need no instruction when it comes to decorating their work. Strictly speaking, in educational sloyd, decoration of work was frowned upon, as the purity of underlying form was an objective. But that may work best when kids are in middle school or older. I tend to be more closely aligned with the first rule of educational sloyd... Start with the interests of the child. Decorating their own work is one of the things children love best. In my own work, I've made progress on making turned steeples for my chapels of wood, as shown in the photo far below. The steeple is not mere decoration of form, as it is intended as a symbol suggesting that viewers enter a state of reverence as they behold samples of the various woods of Arkansas. Make, fix, create, and offer to others the chance of learning likewise.